Responding to the demand for more housing in Delaware, the Buccini/Pollin Group has broken ground on two high-profile, multi-family projects. To ensure high quality and timely delivery – they turned to Wallworks Commercial Carpentry for completion of the General Trades Packages. The redevelopment of Concord Plaza near Silverside Road and Rt. 202 will include 200 apartments situated in six buildings. The development plan also includes a new, 60,000 square-foot, three-story office building and 12,000 sf of retail space on the ground floor. 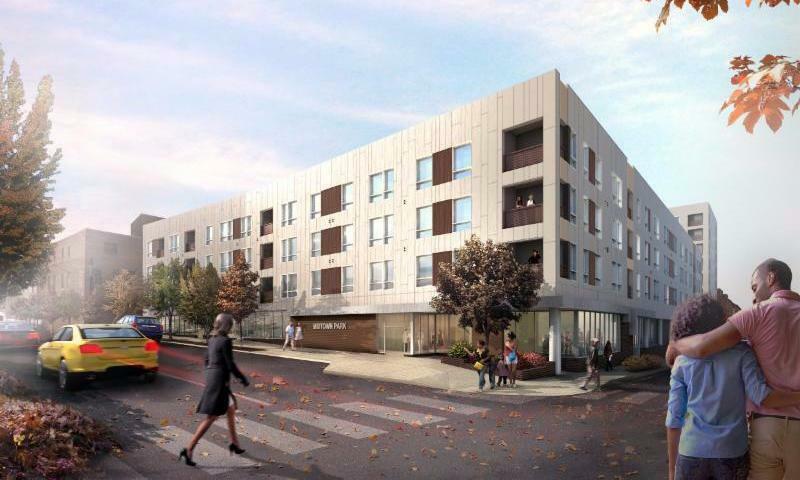 This project, located in center city Wilmington, DE., is a luxury apartment / mixed-use complex. The complex has two buildings – Building One is a four-story building with retail and apartment amenity space on the entrance level and apartments on levels two, three and four. Building Two is an eight-story structure with retail and support space on the ground level, and seven floors of apartments above. “As the General Trades Contractor, the comprehensive scope of our work package allows for better manpower coordination, phasing of work and for managing details that are important for quality.” says VP and General Manager, Justin Henzel.